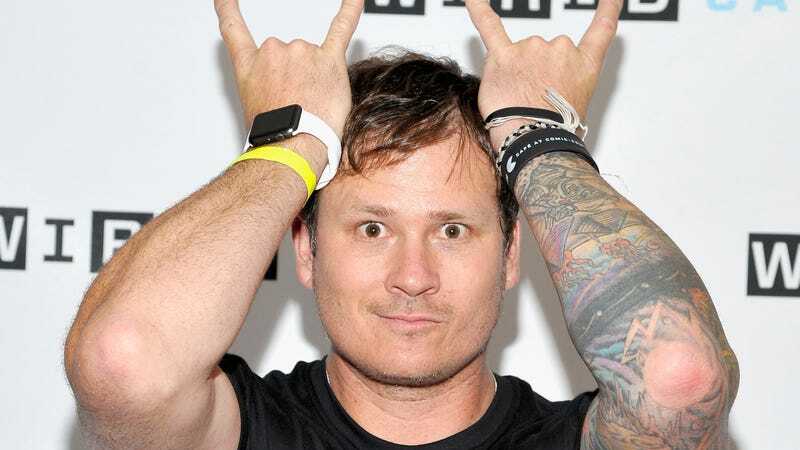 And while that sounds like a random bit of copy-paste from old internet sensation Time Cube, DeLonge and his associates would like you to know that To The Stars’ goals are all very serious. To that end, the company also released a more general promotional video for itself earlier this week, full of talking heads from old white guys with impressive, screen-filling titles like “Former Senior Intelligence Service CIA/Directorate Of Operations,” and also a few shots of Egyptians pyramids and UFOs, just so you don’t forget where DeLonge is actually coming from with all this stuff. To The Stars is currently actively seeking investors, allowing all of us regular folks to get in on the ground floor of DeLonge’s space-faring schemes. (And honestly, we’re really pulling for them to succeed, if only because it would be hilarious for future articles about the history of space exploration to contain the phrase “former Blink-182 guitarist.”) They’re presumably looking for a series of bigger donations to get their plans off the ground, but we’re sure all the small things will be appreciated, too.